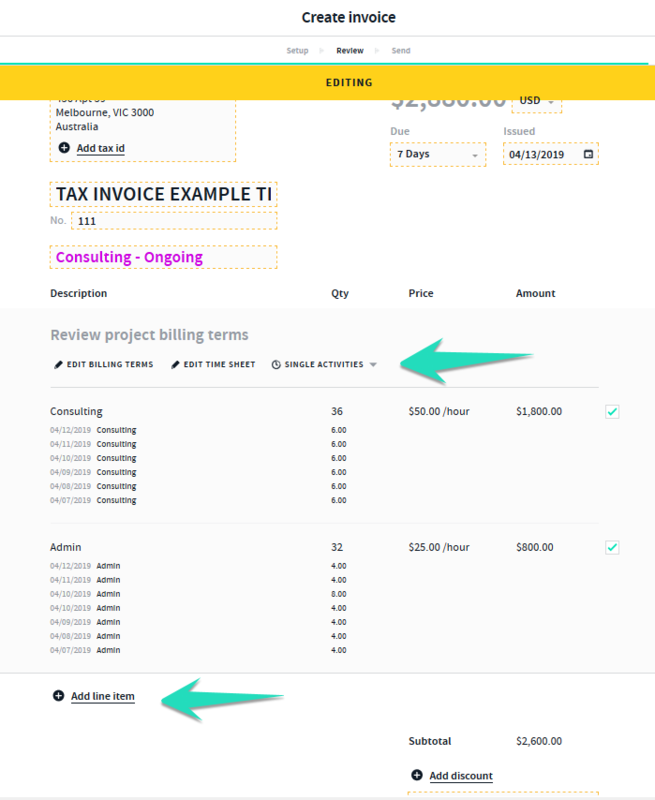 To Invoice based on time tracked you will need to set the terms within the project based on "Rate" with a "flexible qty" and you can view more on this via this article. 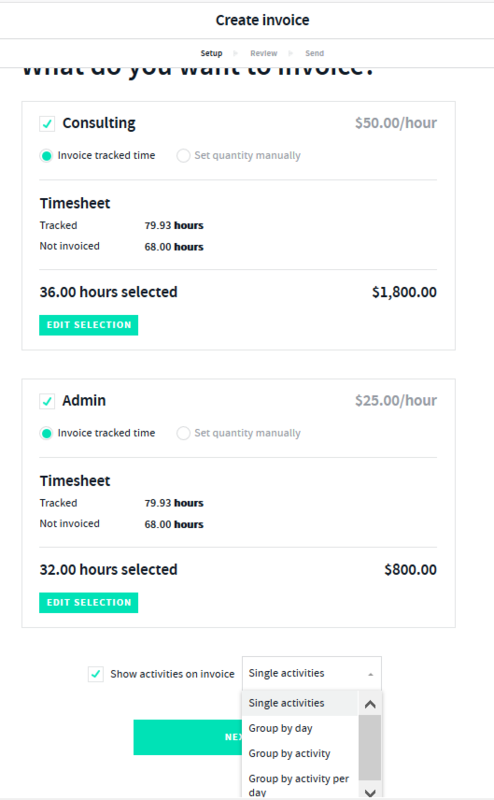 How Can I Set Up Projects Terms So I can Invoice Based On Time Tracked. 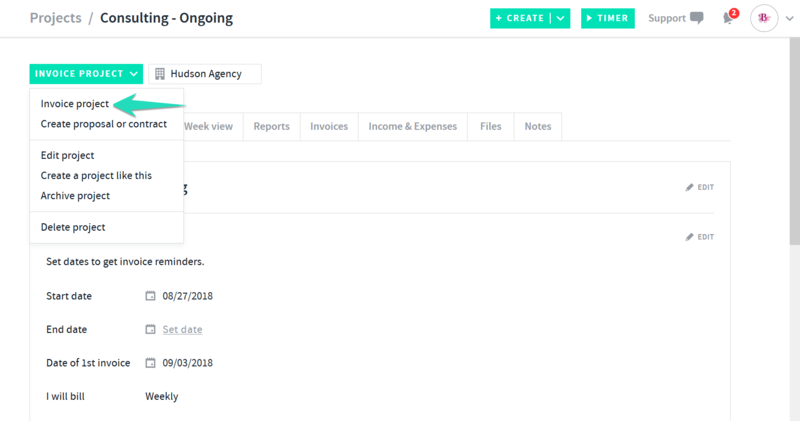 Once you have set up your project terms as rate with a flexible qty and you have tracked time activities via the time tracker and you have assigned your time activities to the project you can then invoice these time activities via the project itself. 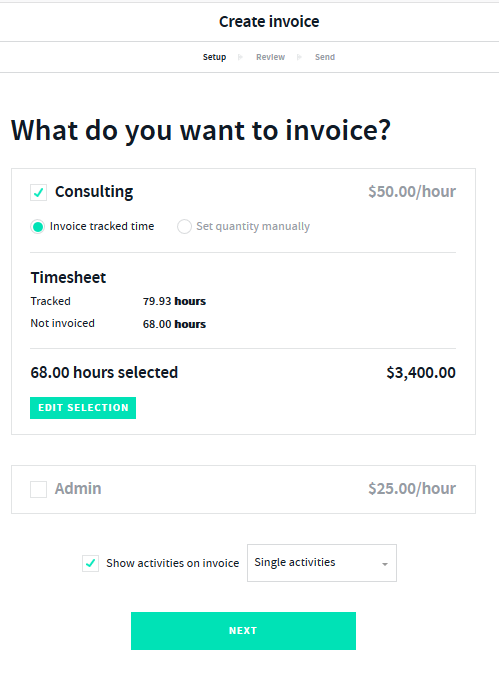 To get started on invoicing time activities select the project you would like to invoice. 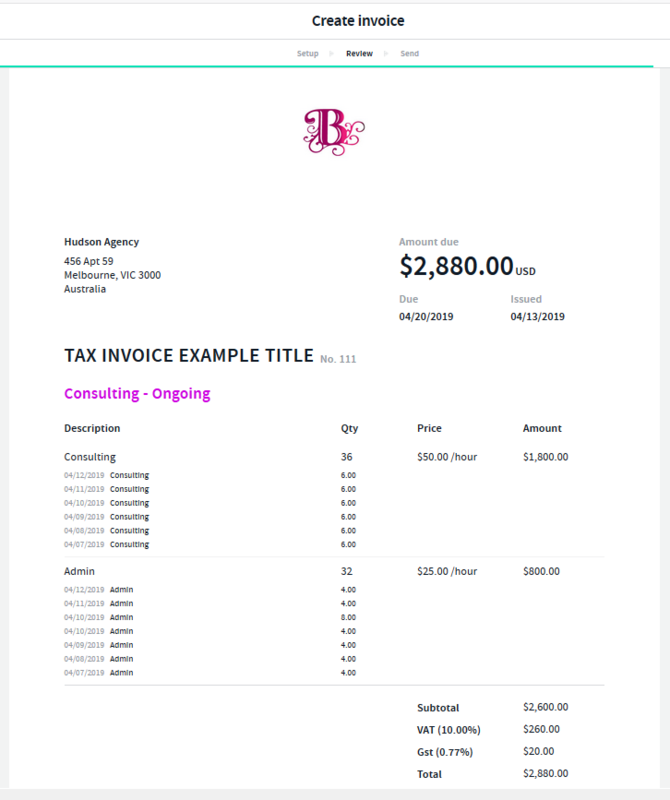 You will then see a invoice setup screen showing you the project terms as well as the time activities linked to the project. 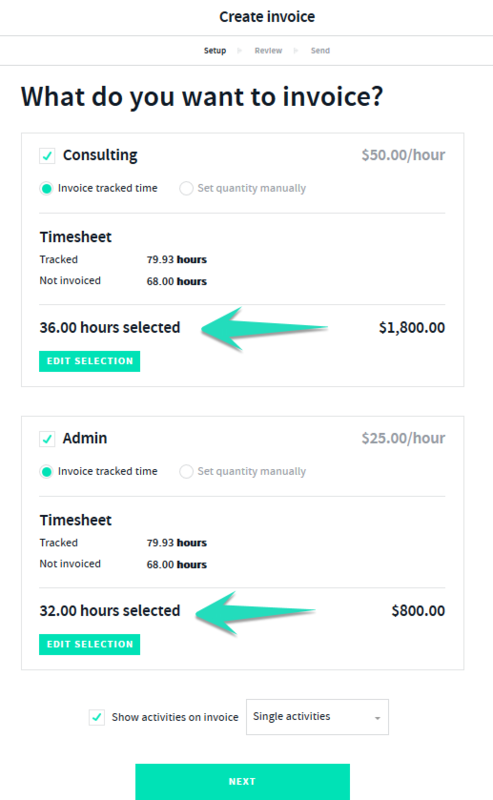 Tracked time activities assigned to a project will default to the first project term. Simply select the first default project term > edit selection option to edit the time activities and link them to their respective project terms. Un - select and select the time activities you wish to assign to the first project term and select done. Then select your next project term > edit selection and select the time activities you would like to assign to any other project terms. You can also select to edit these terms or add new terms in via the project itself. 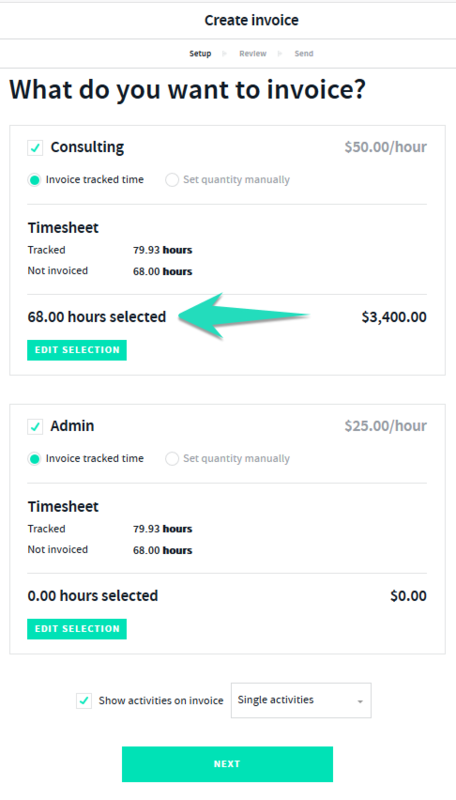 Once you have selected which time activities you would like to invoice per project term and the options on how you would like to display these time activities on the invoice select > Next and your invoice will be created.